What a great campaign - free hugs. 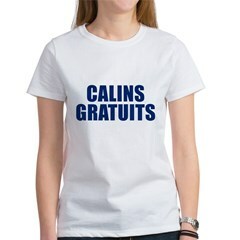 Share the love with this international collection of free hugs t-shirts in different world languages. 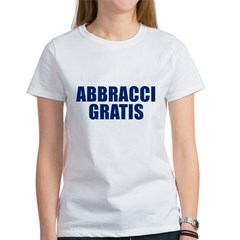 Perfect for your next trip abroad, spread peace and love with these fun free hugs t-shirts. Free Hugs t-shirts! Want to offer free hugs as a random act of kindness? Make your fellow human beings feel better by offering free hugs. This t-shirt is all the advertising you need. Make someone smile today and give away hugs! 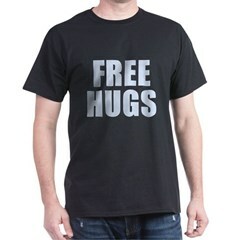 Free Hugs t-shirts with the sentiment on both sides. Give and receive free hugs coming and going! 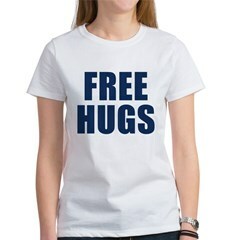 Share the love all around you with these Free Hugs t-shirts!